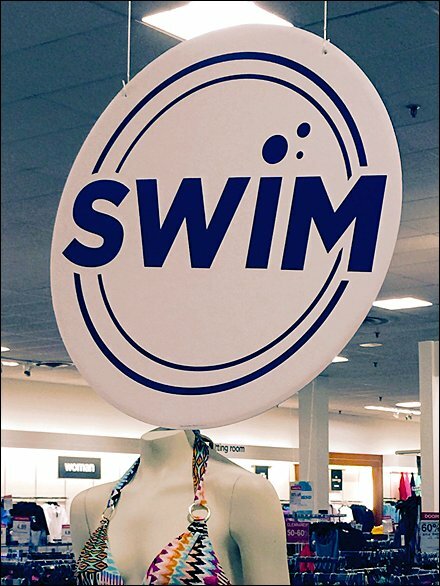 If you run out of catchy copy lines, the single word Swim is enough to call out across the sales floor, describe the merchandise offer, and set a Summer theme. Colorful bathing suits help however. 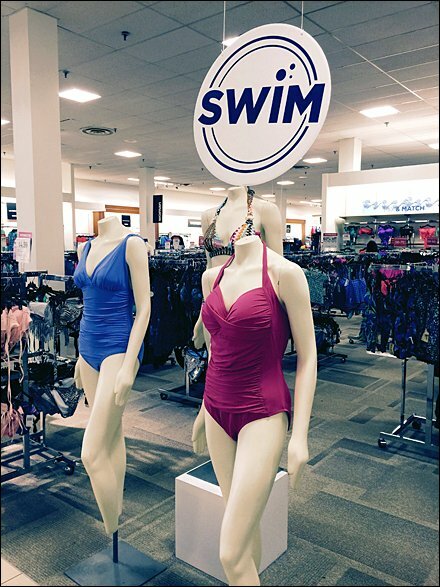 And this display was far from the Swimsuit Department making sure you acknowledged any pent up beach clothing need and searched out the source. CLICK the thumbnail for closeup of the circular sign.